During the winter we keep the windows and doors shut, we keep de-icer in the house in case our car freezes over and we keep an eye on our boilers, to ensure that we can tackle or prevent any frosty disasters. What do we do about the scorching sun though? With recent climates reaching 34°C plus, we have focused on how to cool ourselves down and air out our homes if we can. Have you ever thought that it may affect your locks? With heat, most materials expand. This can cause some issues if this happens to be the object holding your lock. It can make it stiff or even impossible to unlock—not really ideal if that’s a door, now is it? I know you’re probably thinking we have more cold weather than hot weather. That is undeniable. 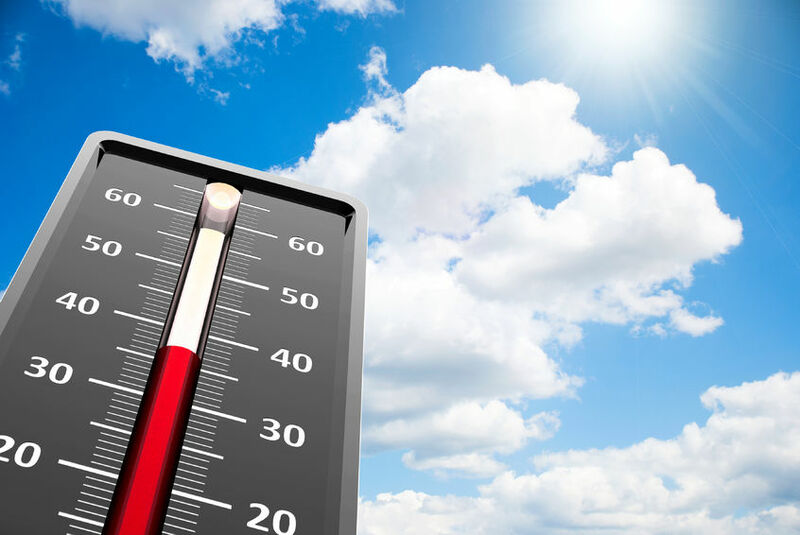 However, with so many preventative measures in place for cold weather, have you ever wondered what would happen if our summer was so warm that is actually interfered with your home or work life? Hot weather or heat expands most materials. Wood expands more so than plastic, therefore the lock inside it can become stiff or the key may not fit in properly because of the expansion. This can still occur with plastic doors, however the effects would likely be less severe than a wooden door. If you are thinking that your doors at home or at work are perhaps a little old and the locks seem to be stiff on most occasions, it may be worth replacing the locks or changing the doors. In this case, it would be worth contacting a reputable locksmith for advice, so that you get the best fit for you. What if the hot weather has jammed your lock? If the hot weather has interfered with the integrity of your lock, then you would need to contact a local locksmith for some assistance. That may involve removing the lock and replacing it with a new and more hardwearing type. You may want to discuss different materials and functionality so that what you replace it with is really what you are after. When we have hot weather, we often have the windows open—even all day to allow some air into your home. The issue with this is security. Leaving your windows open during the day, unoccupied, may invite unwanted intruders. Most of us who have latches on our windows, would lock our windows on a latch whilst we were not around. However, some windows do not have such a mechanism and this can be an issue. Even if you pull the window to, it can still be opened on the outside and someone may be able to gain access to your home. If you have windows without latches, you may think you have to replace the whole window—frame and glass. This can be extremely costly. However, this is not the only option. An alternative would be to replace the window locks for ones which allow the window to be put on a latch. This way you allow some air flow, whilst still keeping your home secure. Contacting a trustworthy locksmith to make these changes would be helpful—they can give you advice, discuss prices, materials and time frames to have the work completed.